Once again we find ourselves without a Host or Hosts for Pancakes on Sunday February 22nd. On the last Sunday of each month, with a few exceptions, we bring you pancakes made with love by your friends at the church. We offer exciting flavors, creative toppings, original sauces and it’s a wonderful time to sit down, relax and enjoy good company over good food. The Fundraising committee brings this to you as an ongoing fund raiser for the church. BUT we cannot continue this tradition if you don’t step up and volunteer to help. It’s a FUN time in the kitchen and we have experienced people who will show you how to do everything you need to do in order to prepare, cook, serve and clean up. What flavor would YOU like to cook this month? 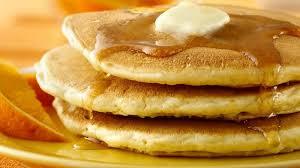 As the Host or Hosts you and/or your family gets to choose the flavor we serve and cook the pancakes too! If you think this is something you can do to help continue this tradition please email Meg Milko. Thank you!